When earthquakes, floods, droughts and volcanic eruptions strike where we live, they are usually considered instances of crisis and unmitigated natural disaster. Yet, recently I have had opportunities to witness how the meaning of crisis depends entirely on one's point of view. The opportunities have come during two visits to Mexico City. The first visit was a month or so after the major earthquake of 1985 that brought widely reported death and destruction. The second was a follow-up visit seven months later. During the days and weeks following the quake, television and newsmagazine images of the anquished search for survivors, of mountainous rubble and of tent cities of the homeless had fully prepared me to find a flattened city and prostrate population. Instead, I found a city with quite localized destruction and one in which at least part of the population was anything but prostrate. In dozens of the poorer barrios of Mexico City, the movement of the earth sparked movements of people using the devastation in property and the cracks opened in the structures of political power to break through oppressive social relations and to improve their lives. When the Chinese write "crisis", they use two characters, one of which means "danger" and one "opportunity". This expression points beyond the riskiness most people usually associate with crises to the new possibilities inherent in any moment of dramatic change. The situation in Mexico City has shown just how perceptive this linguistic formulation really is. Not only were the dangers created by the quake extremely complex, but so too were the new opportunities created. Less obvious than the physical hazards of the quake, but no less real, were the economic and political risks created by this sudden disruption of social order. For the government, the earthquake was one more unexpected crisis superimposed on the foreign debt crisis and on the social tension created by austerity policies aimed at generating foreign exchange to repay the debt. Between the onset of the debt crisis in the summer of 1982 and the quake in September of 1985, neither government officials nor outside commentators ever knew whether the next devaluation or price increase would be met with acceptance or with massive social upheaval. In this atmosphere the quake posed the immediate danger of overloading the government's already taut managerial resources, rendering it unable to cope with an increasingly frustrated and angry populace. This is just what happened. For many poor people in Mexico City, the immediate physical dangers of the earthquake were also quickly superceded by complex legal and economic dangers. Although the media focused on the photogenic collapse of major highrise buildings, far more extensive, though harder to see, were the dangerous structural cracks in thousands of buildings, especially residential houses and apartment buildings. This kind of damage left the buildings standing but made them too dangerous to inhabit. The majority of people sheltered in tents and shanties had fled such damaged, but still standing housing. When landlords and lawyers arrived on the scene the very day of the quake, the people in the community quickly realized that the greatest threat to them would come from these owners trying to take advantage of the situation by tearing down their homes and rebuilding more expensive, higher rent properties from which the former tenants would be excluded. This possibility loomed ominously because a great deal of the housing, especially that of the poor, had been regulated by rent control laws since at least 1948. As a result, thousands of families had been paying extremely low rents and for years landlords had made no contribution to the maintenance of the buildings. Demolition and rebuilding would allow such landlords to escape rent control by turning their former tenants out into the streets --permanently. Anticipating such actions, thousands of tenants organized themselves and marched on the presidential palace demanding government expropriation of the damaged properties and their eventual sale to their current tenants. By taking the initiative while the governemnt was still paralysed, they successfully forced the seizure of some 7,000 properties. Although an even larger number of damaged homes remained unexpropriated, the popular mobilization and the potential for further government action undoubtedly prevented the eviction of many otherwise unprotected tenants. With remarkable acuity these militant poor had converted an eminent danger into a promising opportunity. How was this possible? After three years of failure to resist austerity, how could the poor successfully push their case in this period of intensified crisis? The answer is two-fold: first, the earthquake caused a breakdown in both the administrative capacities and the authority of the government, second, the ability of these people to organize themselves grew out of a long history of autonomous struggle. The breakdown of governmental authority is the easiest to understand. Many of the modern highrise buildings that collapsed were government office buildings and the destruction of both locales and records brought sizable sections of the bureaucracy to a standstill. Among those sections were the Ministries of Programming and Budget, the Treasury and Telecommunications. Furthermore, the destruction of highrises in central Mexico City involved the collapse of dominant symbols of the government's only claim to legitimacy --the centralized "modernization" bought with oil revenues, borrowed capital and continued poverty. The collapse of these symbols struck to the heart of the State's confidence in itself and in its policies. While the government was still immobilized in shock, many communities moved into action. One of those, near the center of Mexico City, which over the years had developed a pratice, and indeed a reputation, for successful autonomous self-organization and militancy, is called Tepito. A relatively small community by Mexico City standards, Tepito has only about 125,000 residents in a city of some 20 million. An old, stable community, Tepito's people have lived there for generations with little influx, or outflux, of resident population. There is little influx, except by marriage, because there is little room in this densely packed community. There is little outflux because people like it there. They like the way they live and are proud of their own history of community struggle which they trace all the way back to the days of the Spanish Conquest. To me this sense of history was intriguing but sounded at first like so much "invented tradition". Colorful but unlikely. It was only later, during a visit to the Museo Archeologico that I discovered evidence that their claims are perhaps not so exagerated. There, on a wall in the Museum, is a large, transparent map of Pre-Columbian Mexico City superimposed on a modern map of the city. It is striking that Tepito stands today very close to the same ground as an ancient Aztec community called Tepiton. Perhaps there is more continuity in community traditions in Tepito than those outside want to admit. However ancient its roots, Tepito survives today both within and underneath the official economy. On the surface, the work of many of its residents make Tepito the second largest producer of shoes in Mexico. They also produce clothing, stereo records, and many other goods. Complementing this artisanal production are a wide variety of service activities such as restaurants, auto repair and retailing. Underground, Tepito's residents make their living by smuggling and bootlegging. The community's enormous open air market is known throughout Mexico City as a source of FAYUCA, cheap foreign goods smuggled in to avoid high tariffs. Under the counter of many an open air stall selling shoes is often a well illustrated catalog of hi-fi equipment available for home delivery. Less well known, but freely discussed by many, are the bootleg producers who sew American and European designer labels on Mexican jeans, who repair old Mexican irons and then glue General Electric face plates on them, or who fill empty Parisian perfume bottles with cheap substitutes. What is fascinating about this economy is not its underground component --fairly common everywhere these days-- but how little work it takes many people to make a living in it, and how much free time they have carved out to build a community around other kinds of activities. Although there are exceptions, such as shoe makers working long hours for outside capitalists at very low piece wages, the majority of the population seems able to earn enough income to live, more or less the way they would like, with as little as two to four hours of work a day on the average. These incredibly short working hours are affirmed by residents who explain that they are able to achieve this freedom from work partly by having all members of the family work (but only for a while) in the family workshop or street stall, and partly by choosing the lower income and free time that is produced by this pattern of life. Combine such short hours with the kind of low earnings you might expect in a Mexican barrio and you get some idea of the relatively low "standard of living" which predominates in Tepito. (Again there are exceptions, such as smugglers who have made fortunes plying their trade.) It would seem an ideal verification of every conservative suspicion of the backward qualities of those in the underdeveloped Third World. They are poor because they want to be, because they won't work! But "standard of living" is a slippery concept to say the least, however measured to the last peso by economists. What experience in the Third World has shown, and what the people in Tepito realize, is that hard work in the search for development via high personal income brings profitable results for only the successfull few and nothing but exhausted and wasted lives for the majority. Instead, a great many Tepitenos (1) have chosen a very different approach to life and to development. By minimizing their work time they limit their individual earnings but they also create considerable quantities of disposable time both for enjoying life together and for self-organization and collective struggle for community-wide improvement. This is done quite consciously, with pride in choosing a life style based on doing things together rather than on possessing things individually. For many in the community these are simply the values of the traditional Mexican peasant community, transplanted to the city. Traditional values they consciously counterpose to those of modern Mexican capitalism. While the Mexican economy as a whole has been plunged ever deeper into crisis during the last few years, two very interesting things have happened in Tepito. First, the underground economy has prospered as the official economy has stagnated. The daily devaluations that have driven up the price of legally imported goods have made Tepito's less expensive smuggled ones more attractive to consumers. Second, according to one social scientist who has been keeping track of such things, over this same period the number of street parties in Tepito has increased seven-fold. This multiplication of street parties is symptomatic of a thriving and in some ways joyous community life. In Tepito life is very communal, not only in the sense of community self-organization, but also in the more basic sense that people spend a great deal of their time in the streets or in their VECINDADES: a unque housing arrangement with large central courtyards surrounded by small individual habitations. Homes are small not only because people cannot afford more space but also by choice. While they may sleep, work or make love in their small homes, they spend even more time socializing, cooking and eating together in the courtyards. There too the children play, protected by the old who sit watch at the entrances which lead from the VECINDADES to the street. We need not romanticize (the community is by no means free of poverty or crime) to recognize how people have chosen a life rich with social interaction over one less poor in individual material wealth. Tepitenos enjoy telling stories of those "new rich" who have moved out to larger accommodations in wealthier middle class neighborhoods only to return not long after, starved for the community spirit they left behind. One of the most important results of Tepito's approach to development has been its ability not only to defend its community integrity but to elaborate its own autonomous plans for self-development. The most important instance of defense was its ability to thwart government plans for its "renewal". When Candelaria de los Patos, a similar community not far away, was "renewed" the people of Tepito watched carefully. They saw its inhabitants swept away, scattered throughout the city; some even took refuge in Tepito. They then saw, rising from the bulldozed ruins of that community, a giant modern housing development: Nonoalco Tlatelolco, whose high rise apartments were quickly filled by members of Mexico's middle class. From this experience the Tepitenos concluded, correctly, that urban renewal meant the destruction of poor communities and their replacement with middle class ones --a familiar experience throughout North America. (2) So, when the government turned to Tepito and said, "OK, its your turn", they resisted, fiercely and with imagination. From the history I was told, how they resisted governmental pressures was creative and resourceful. Drawing on the technical help of some young architects and urban planners from the Universidad Autonoma Metropolitana, they elaborated their own community development plan, submitted it in an international competition sponsored by UNESCO, and won! The resulting publicity and legitimacy made it impossible for the government to move in and evict them. The proof and vindication of the wisdom of the people of Tepito came with the earthquake when highrise after highrise collapsed in nearby Tlatelolco. Thirty-six of the fifty-five apartment buildings were destroyed or rendered uninhabitable. Thousands were killed or left multilated and lost everything. At the same time, the older buildings in Tepito received much less damage and only five people were killed in the whole community. Today the plan's physical model covers the whole wall of one community center. In the wake of the earthquake, the original architects, now professionals, are redrafting the detailed plans for several representative parts of the community, in consultation with the residents. The government, of course, fiercely opposes this kind of autonomy. The hegemonic PRI (Partido Revolucionario Institucional) and its state, which have ruled Mexico for the last 50 years, can not passively tolerate such challange. They have tried for years to crush or subvert this autonomous self-organization, sometimes with violence, sometimes with cooptation. The people of Tepito are well aware of these efforts. What is remarkable is how they have successfully defeated the threat. Besides collective physical resistance to the threat of violence, the most striking defense mechanism of Tepito is its chosen form of self- organization: informality and decentralization. Aware of the PRI's efforts to coopt what it cannot crush, Tepito not only has an incredibly diverse set of organizations but most are organized in a way that avoids cooptable power structures. Tepito is living proof that the absence of a strong organization does not necessarily mean the absence of strong organization. Every imaginable group, it seems, has organized itself in Tepito. Artisans (e.g., several different groups of shoemakers, auto repairers, clothing makers and bootleggers) have organized themselves along "industrial lines"; merchants have organized their own distribution and financial services by trade and by section of the community; in the streets lined with their stalls, the merchants have also organized their own police to fight shoplifting by those from outside the community; the inhabitants of the VECINDADES have created their own active groups and then linked up with other VECINDAD groups; artists have organized Tepito-Arte Aca, one of the longest lived artist organizations in the city of Mexico; those interested in rebuilding have organized architects and a community paper IL NERO (short for EL COMPANERO) (3) which has been published steadily for at least the last 14 years; and so on. In all these cases organization is informal; there are no written rules, no presidents, no vice-presidents and no treasurers. In Tepito people speak of "leaders" rather than of heads of organizations. "Leaders", they say, are those who can get the things done that people want done. Leaders change, but the mechanisms of change are informal, the focus of discussion just shifts from some individuals to others. There is, in short, no hierarchy that can be bought off by the PRI, only individuals working together. Any decision that would seriously affect the community, or any section of it, has to be made through complex discussion and negotiation among the gamut of organizations with some interest in the matter. It is not only an effective defence mechanism, it is also an incredibly democratic, participatory form of organization. The looseness of these diverse organizations, both in their internal workings and in their interactions would seem to imply great inefficiencies, tremendous lag times between the perception of a problem and its solution. The typical costs of democracy. And in truth this kind of organization does require a lot of time commitment, particularly considering that the different organizations cut across the community in many ways and a given individual is likely to take part in several different groups. But, as we have just seen, life in Tepito is organized in just such a way as to make time available for this complex political life. The extraordinary amount of time devoted to such public life is reminiscent of many periods of popular revolutionary upheaval when large numbers of ordinary men and women set aside unnecessary work to seize time for their own participation in the creation of a new political order. Using such methods, the people of Tepito successfully mounted their offensive to demand expropriation of damaged properties. Today, everywhere you walk in Tepito you see the large red on white signs hanging from doorways announcing that the property belongs to the federal government. The next step, in which the Tepitenos are now involved, is forcing the government to sell the properties to them at low prices and to either help them rebuild or to leave them alone while they rebuld on their own. Some people of Tepito quickly demonstrated their ability and willingness to rebuild by themselves. Early on, they began to tear down unsafe buildings by hand --carefully preserving the building materials for later reconstruction. They have also forced the government to allow them to legally construct other things they need, such as toilets. With some 50,000 people abruptly thrown into the streets by the earthquake, the government was forced to face the unpleasant realities of Mexico City's grossly deficient sewage situation. Even before the earthquake, it was estimated that some four million people were without flush toilets in the city. The results are notorious, a degree of public unhealthiness of staggering proportions. Mexico City, it is said, is one of the few cities in the world where you can get salmonella and amoebic dysentery from breathing the air. Despite this situation, the Mexican government had apparently steadfastly refused to sanction the independent building of low tech, non- flush toilets by individuals and groups desirous of changing the situation. 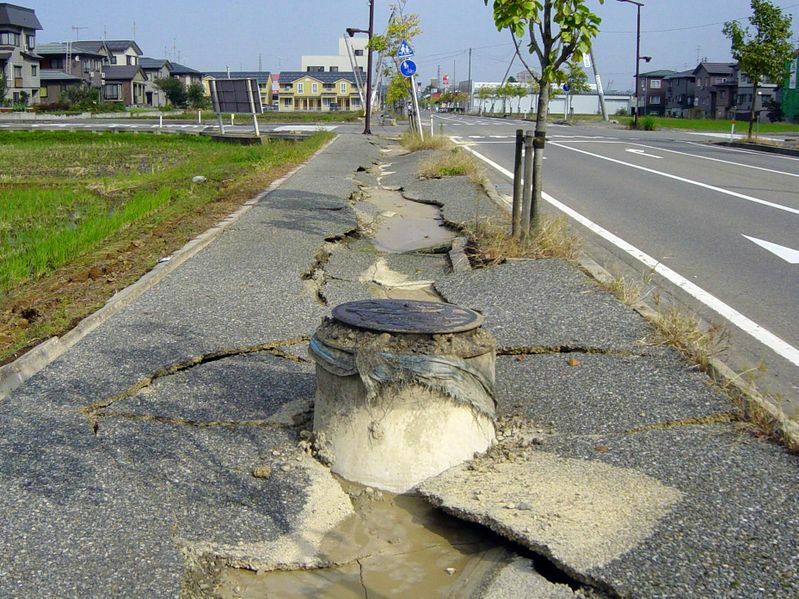 As a result of the earthquake and the sudden, obvious increase in the number of people living and defecating in the streets, the paralyzed government was forced to allow such alternative technological solutions as could be constructed by the people themselves. In support of such activities, newspapers such as EL DIA have begun to publish technically detailed and easy to follow instructions for composting laterines. Here again, the poor of Mexico City were able to utilize the earthquake crisis to take the initiative, this time in the struggle over sewage and public health. The Network moved quickly to train community representatives to prepare proposals for reconstruction projects that could be submitted directly to foreign aid groups, bypassing the corrupt Mexican government agencies. Some of these projects have been for the physical reconstruction of housing, others have been longer range projects for the creation of workshops and community services. In each case initiative and control remains in the hands of the local neighborhood (or village group for communities outside of Mexico City) with the Network providing skills and communications. While I was in Mexico I visited a number of projects organized and financed in this manner. In each case the projects had been carried out by the local groups who were proud to show what they could do for themselves, using foreign aid but without giving up their own creativity and autonomy. Given the Mexican government's propensities for centralized control and for contracting out work to private enterprise without consulting local groups, considerable conflict has arisen in the barrios of Mexico City over State directed reconstruction. At first, many people, tired of living in the streets, welcomed the help. But then, as they observed the type of buildings being constructed, they became angry and rebelled, blocking further work. As already indicated, the people in Tepito and in many other communities, have clear ideas about how they want their community structured, including the style and architecture of their habitations. Again and again the government and its contractors have ignored or opposed their wishes, minimizing costs and constructing vertical apartment buildings without the traditional VECINDAD organization around a central courtyard. As a result, there have been many pitched battles with the government over the concrete details of reconstruction. Danger and opportunity. The people of Tepito have proven themselves far more capable than the government both of responding to the dangers and of seizing the opportunities created by the earthquake. If the debt crisis, and now the collapse of oil prices, have thrown Mexican "development" into question as a viable path to social improvement, the earthquake crisis has brought into view a long existent but rarely recognized alternative. That alternative lies in the ability and willingness of the people of Tepito, as well as those in many other barrios, to assert a different set of values: those of autonomy, self-activity, and the subordination of work to social needs. It is also embodied in their ability, as against governmental paralysis, to design and implement their own projects, thus elaborating those values in concrete practice. Time and again, the people of Tepito are acting to meet their own needs and then presenting the government with a FAIT ACCOMPLI to be legalized ex-post. Given the way they are organized, and their values and attitudes so antithetical to those of official Mexican capitalism, it is unlikely the government can coopt the people of Tepito. They would have to be crushed, and made over into something quite different from what they are today. Fortunately, the continuation of economic crisis in Mexico serves to preoccupy the government and forces it to stretch its resources of control. Simultaneously, like the earthquake, it creates more opportunities for the Mexican people to elaborate their own autonomy against official development plans and to take control over their own lives. For those of us outside of Mexico, the people of Tepito have an important lesson to teach, not only about the uses of an earthquake, but about the use of crisis more generally. Every crisis involves change and contains opportunities for movement in new directions. Crises are not to be feared or "solved"; they should rather be embraced and their opportunities explored. We should always be ready to take advantage of any crack or rupture in the structure sof power which confine us. Only those who benefit from these structures should fear such cracks. For the rest of us, they are openings through which we may gain access to more freedom. Most of the articles are in EL GALLO ILLUSTRADO which was a weekly supplement to EL DIA, edited by Gustavo Esteva. Manrique, Daniel "Bardas, paredes, muros y murales," EL GALLO ILLUSTRADO, No. 1238, 16 marzo 1986, pp. 11-15.